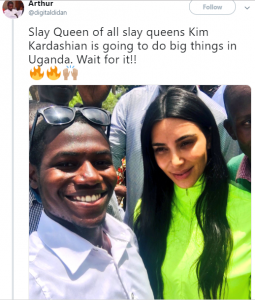 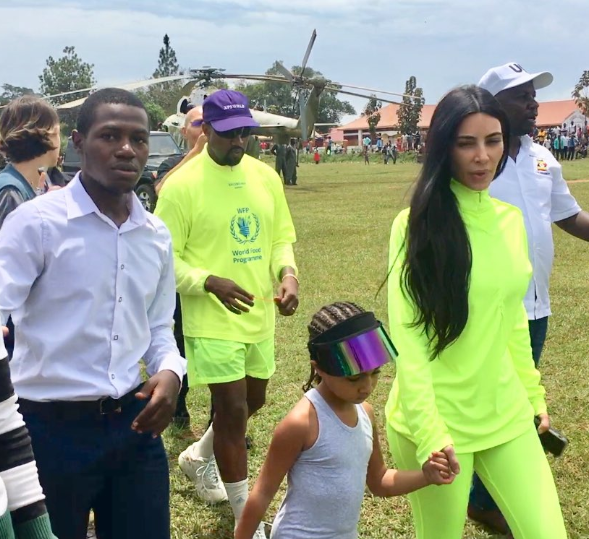 A Ugandan man believes his life goal is complete after he met Kanye West, Kim Kardashian, and North West as they tour Uganda. 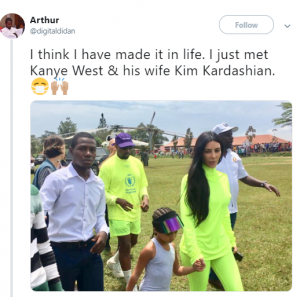 The Twitter user by the name, Arthur took photos with the couple when they visited a village in Uganda and he shared updates via Twitter. 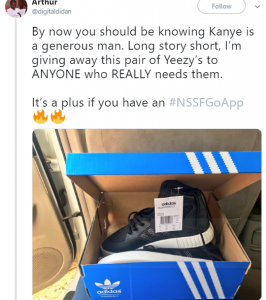 The excited fan also revealed his willing to give out a pair Yeezys he got from Kanye to anyonwe who really needs it.